Huge congratulations to Jennifer and Lee who celebrated their beautiful wedding at The Lawn, Rochford. 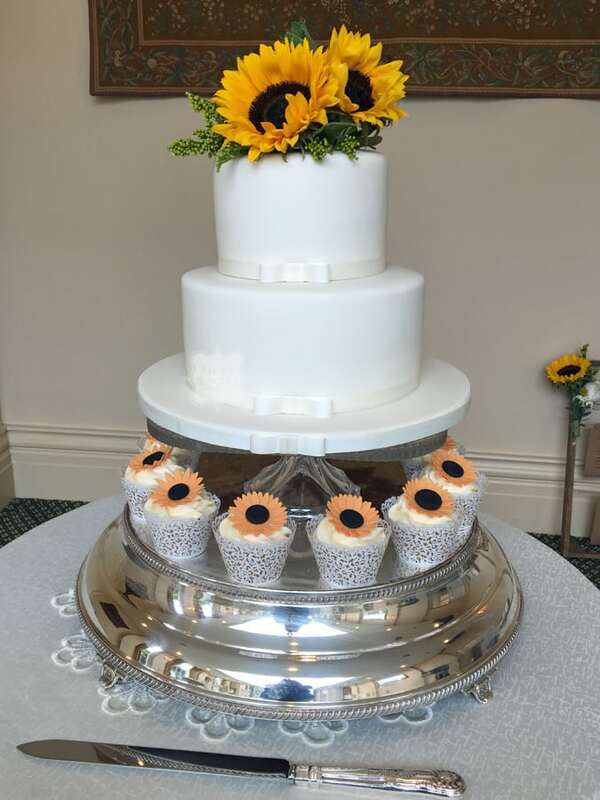 I made them a simple 2 tier iced wedding cake in soft ivory decorated with cute ivory grosgrain bows, then popped a couple of gorgeous sunflowers on top of their cake. Their flavours were lovely lemony lemon cake and red velvet. They also had 8 Madagascan vanilla cupcakes with a swirl of buttercream, topped with a handmade sugar sunflower to match the main cake. Sometimes less is more and I loved this cake!